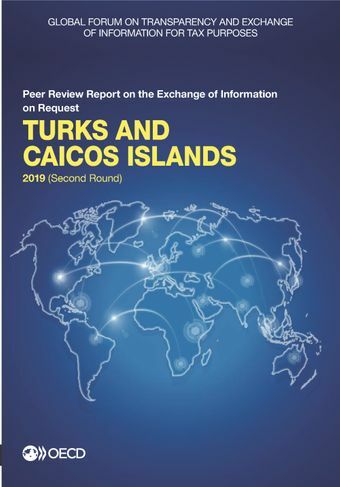 This report contains the 2019 Peer Review Report on the Exchange of Information on Request of Turks and Caicos Islands. The Turks and Caicos Islands was rated overall Largely Compliant with the international standard on transparency and exchange of information (EOI) on requests handled over the period from 1 January 2015 to 31 December 2017. Since its 2013 report, the Turks and Caicos Islands has taken measures to address many of the deficiencies identified, in particular, by developing its EOI network with all relevant partners and monitoring the handling of incoming EOI requests. As a result, the response time to requests for information generally decreased and peers noted the good quality of the responses to the six requests sent during the period. On the transparency side, the Turks and Caicos Islands’ legal framework is generally in line with the international standard, and while it is noted that the supervision of licensed service providers was increased to ensure they maintain ownership information, further supervisory measures are required to ensure that certain companies and partnerships maintain legal and beneficial ownership information, that all entities and legal arrangements maintain accounting information, and that the banking sector is appropriately supervised.